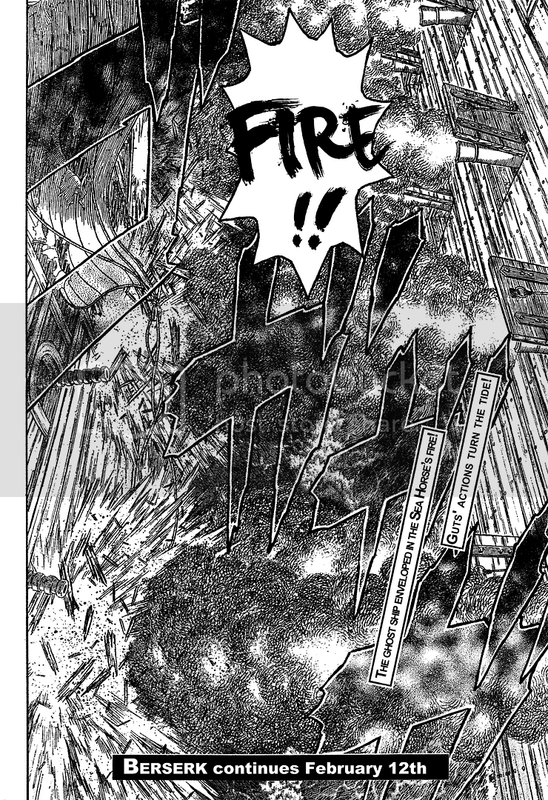 This entry was posted on Friday, February 12th, 2010 at 7:23 am	and is filed under Angel Heart, Berserk, Biomega, Manga. You can follow any responses to this entry through the RSS 2.0 feed. Both comments and pings are currently closed. to Selfproclaimed expert – read thous mangas again :). An Egg of Perfect World took Guts child into itself to bring him into this new world. Trough that child reborn. But Griffit came from ceremony. So it is different. Besides Griffits body has allways being childish. Casca run for Griffit not because he was her child, but because he reminded her old days (somehow). Notise that when approaching to Griffit, her brand started to bleed. But when they meet her child on the beach, brand didn`t react. I’m curious as to the appearance of the girl; immediately upon seeing the girl in the manga I was hit with a sense of familiarity, but I couldn’t tell what I was reminded of; upon cruising sk.net’s message boards I remembered. Around last June or July the good folks at SK.net sent out a letter to Miura sama to thank him for personally responding to their inquiries; in this thank you letter, one of the patrons of SK.net by the name of Grovel sent a bookmark crafted by his daughter, and along with it a picture of his daughter who is an adorable freckled redheaded girl with saucer sized eyes. 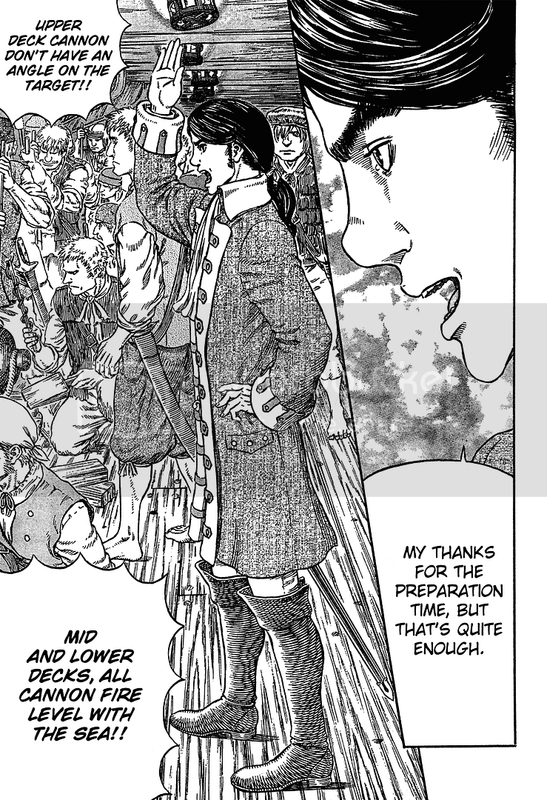 If you think about it, Miura took a great portion of last fall/winter as a sabatical and what releases he made focused on the action on the high seas; he couldn’t exactly draw the girl into a scene on a frigate in the midst of battles with pirates, this is the earliest he could pen the girl in. I’m going to see what Miura names this little girl, but my bet is that this is his token of appreciation toward Grovel’s daughter’s craftwork. If this turns out to be true I would be blown away by such a gesture. So now we know who to blame. Grovel’s daughter. Thanks to her we now wait like fools for Berserk to actually make sense again. One more day… and actually… sometimes, when Miura takes a vacation, he just stays in his home playing some new game on Playstation… But every mangaka has a hobby… better Games than something more lethal, dangerous or debilitating. Can we expect new Berserk withing next 6 hours?